Despite EPA Administrator Andrew Wheeler’s claim that the changes were made to simplify what waterways are covered by the Clean Water Act, a close reading of the rule suggests that the changes add little clarity. In fact, experts have pointed out that the definitions used in the new rule are so general—and stray so far from sound science—that consultants may be required to determine whether a water body falls under federal jurisdiction. This would place further stress on farmers and landowners who are making good-faith efforts to follow the law. While Wheeler recently claimed that “access to clean drinking water worldwide is ‘the biggest environmental threat’,” the rule appears to be yet another gift from Trump’s EPA to polluters, especially the coal and hard-rock mining industries that have already benefited from myriad Trump administration policies. The proposed rule’s shift away from science will seriously undermine water quality improvements that have been achieved since the Clean Water Act became law. Not only will the rule’s narrowed definitions overwhelm states with new regulatory responsibilities, but the rule will also kneecap the booming restoration economy. This has been key to drawing billions of dollars in private investment to support environmental restoration and protection. Passed in 1972, the Clean Water Act gives the EPA and the Army Corps of Engineers the responsibility to regulate water pollution. The agencies have written several rules since 1972 to define the bodies of water they must oversee, with new rules being promulgated in response to court decisions. The most recent case, Rapanos v. United States, was decided in 2006; the decision was 4-1-4 and defined federal jurisdiction as applying to traditionally navigable waters as well as other waters with a “significant nexus” to navigable waters. The latter refers to those water bodies that affect the chemical, physical, or biological health of navigable waters. In 2015, the EPA concluded a four-year scientific review of the nation’s rivers and wetlands to determine what counted as a “significant nexus” under the Rapanos decision. It also released a rule that applied this definition to water bodies. However, industry opposed the rule, and over the subsequent years, litigation limited its implementation to 26 states. Instead of fighting for the rulemaking and ensuring strong protections against water pollution, the Trump administration has continued its track record of supporting industry interests at the expense of the American public. The proposed new WOTUS rule eliminates the categories introduced in the 2015 rule, limiting federal protections to broad categories of “traditional navigable waters”—seas, lakes, permanent or intermittent rivers, and wetlands that either feed into or out of these water bodies. The proposed rule also explicitly excludes ephemeral streams, which flow during and shortly after precipitation events, and wetlands without surface connections to traditional navigable waters. The proposed rule also leaves open the option of removing intermittent rivers and streams before its finalization. A close reading of the proposed rule shows that it includes a big exemption that benefits mining companies. Specifically, it explicitly excludes “water-filled depressions created in upland incidental to mining or construction activity.” While the 2015 rule excluded dry land depressions created by mining or construction activity, it clarified that ephemeral and intermittent streams could still be considered waters of the United States, even if they were dry part of the year. Ephemeral and intermittent streams are a critical part of hydrology in much of the country, where seasonal rainfall means that many streams and rivers do not flow year round. 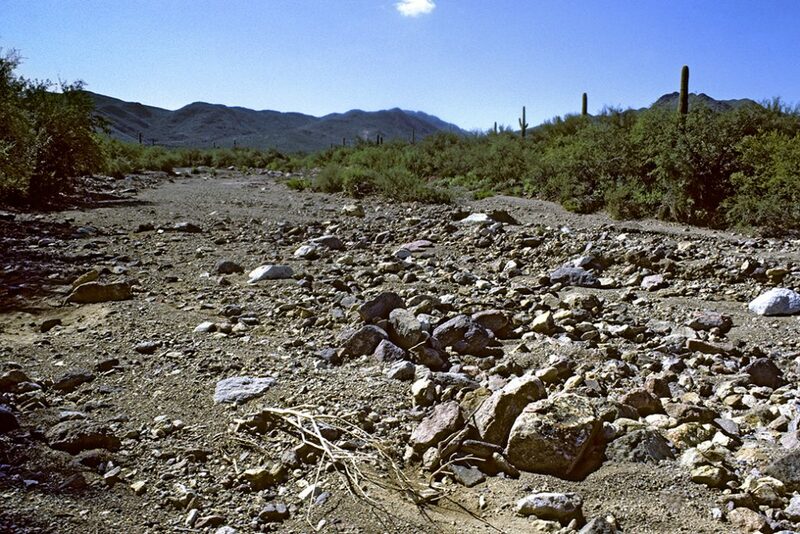 One example of this is an arroyo in the American Southwest, a stream that flows only during and after rains, not permanently, because the region receives so little precipitation. Including these seasonal streams under the WOTUS rule is essential, as mining activities in these areas have a major effect on the quality of water downstream. Trump’s 2019 “Economic Report of the President” confirms that the proposed WOTUS rule is intended as a handout to the mining industry, calling it one of “the most economically significant deregulatory actions for energy” currently underway. This aligns with the Trump administration’s stated priorities to support coal and extractive industries; it also follows ongoing efforts to weaken environmental and public health standards to benefit these interests by weakening EPA rules on mercury pollution and supporting the successful nullification of the Department of the Interior’s Stream Protection Rule under the Congressional Review Act. Instead of empowering states, the proposed rule appears to be an end run to gut environmental protections at all levels of government. By removing federal oversight of clean water in many areas, the proposed rule punts a significant amount of responsibility to individual states, many of which are under-resourced and legally unprepared to take on permitting and enforcement. In fact, fewer than half of states have their own permitting programs for protecting wetlands, with many of the remaining states relying on federal standards or joint programs with the Army Corps of Engineers for monitoring and enforcement. Even where these programs exist, it is not guaranteed that states will have the staff capacity to ensure that similar levels of protection are maintained. A 2015 survey by the Association of State Wetland Managers finds that only 10 states have more than 20 staff members devoted to wetlands-related regulatory or monitoring work. States’ lack of staff and funding to regulate water quality, combined with the Trump administration walking away from its responsibilities, means that it simply won’t get done—and that communities will be left vulnerable to water pollution. The Trump administration’s redefinition of WOTUS is part of a broader effort to eliminate large portions of the EPA’s historical responsibilities, ostensibly handing them off to state and local agencies. However, the administration’s talking points run counter to the decadeslong history of federal-state cooperation that has improved water quality across the country. The rollback of federal protections also threatens to undercut some of the most successful examples of using market-based tools to improve environmental quality. Mitigation—the restoration or improvement of habitats to compensate for the impacts of development—was pioneered under the Clean Water Act to address the effects of infrastructure on wetlands and streams. The mitigation banking system has boomed in the past decade. It grants private businesses credits for investing in restoration; businesses can then sell these credits to developers who need to compensate for the impacts of development. More effective than requiring developers to oversee on-site restoration projects, the mitigation banking industry now dominates the emerging restoration economy—a sector that employs 126,000 people and generates $9.5 billion annually. More than 1,800 banks are approved to sell credits for wetland and stream restoration, and the practice has cut permitting times in half for development projects. Because the proposed rule cuts 50 percent of wetlands and nearly 20 percent of stream and river miles from consideration under the Clean Water Act, the mitigation banking industry would face severe uncertainty if the rule were to be finalized. As discussed above, states are unlikely to fill the gap in protections that the proposed rule creates, so the change would effectively eliminate a large portion of the demand for the mitigation credits that fuel the industry. Turning off the tap for private investment in conservation is bad for business. Mitigation banks often invest in conservation easements and restoration projects years before any credits are approved for sale, so the proposed new rule would negate significant investments in bodies of water that are no longer regulated. Despite the administration’s claims, the proposed Waters of the United States rule would not simplify the regulatory process or provide any clarity for farmers. Instead, it appears to be a giveaway to the mining industry that would hamstring efforts to effectively protect the nation’s waters from pollution and would place an undue burden on states. The new rule would also stifle the booming restoration economy and limit safeguards for some of the most toxic forms of development. Congress should press the EPA and the U.S. Army Corps of Engineers to ensure that the rule reflects the best science—and it should hold the administration accountable for this blatant attempt to give handouts to favor big polluters at the expense of public health.